We have two toddler groups – Junior and Advanced Junior for toddlers between 3 and 4 years of age. We offer private lessons for swimmers who benefit more from 1-2-1 attention. Get a 10% discount for siblings. 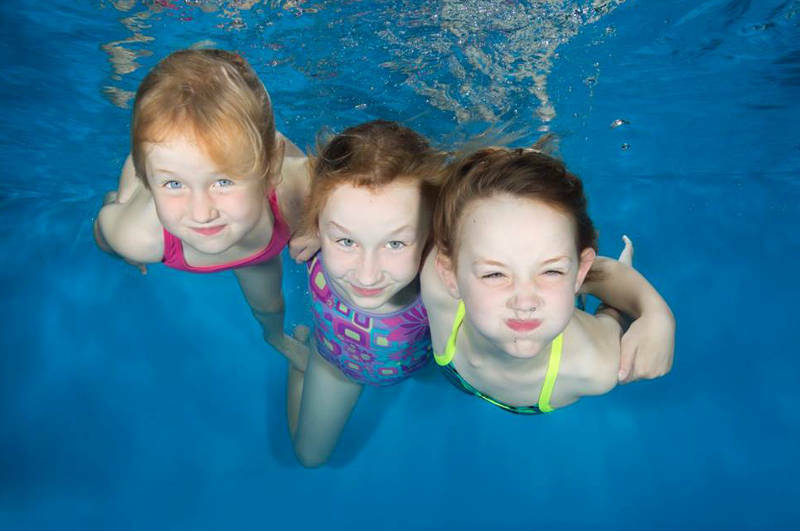 Our aim is to teach children to swim in a safe and fun environment. Our curriculum is delivered by a team of highly qualified teachers led by Dotty Harris, the founder of Little Fishes and teaching professional with over 17 years experience developing swimmers of all ages. Dotty combines her years of swim teaching and education practice to deliver an amazing programme that empowers parents to teach their babies to swim underwater, developing core swim techniques and confidence in children as well as life saving skills from a very young age. Great fun – Our classes are designed to be enjoyable and fun for babies, children and parents too. Your children will enjoy learning to swim with us, giving them confidence in the water from an early age. It’s also a great place for parents to make new friends. Fantastic value for money – Being parents ourselves we know how expensive it can be to bring up children, that’s why we keep our prices as competitive as possible. 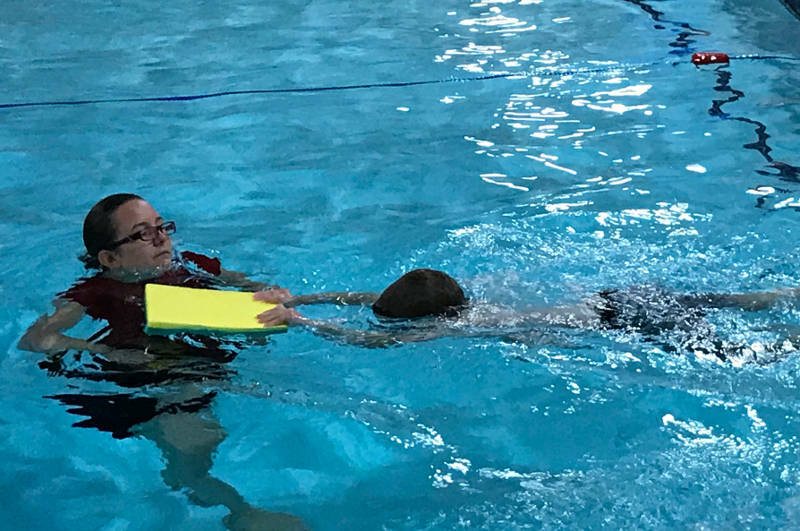 Experience – Dotty’s wealth of experience teaching children and babies to swim has allowed her to develop a unique program which teaches children important swimming and lifesaving skills whilst remaining fun and enjoyable. Our young swimmers gain confidence and self-esteem as they achieve the goals set through our programme. All of our instructors are qualified and experienced. Health – Swimming is great exercise for children and helps to develop the muscular system, heart, lungs as well as improving co-ordination and motor skills. Parents also benefit, it’s a terrific way to help get back in shape after pregnancy. Bonding – teaching a baby to swim at an early age can be an experience that helps strengthen your natural bond with a baby. It’s a great way for Dad’s to get involved too. Small Groups – We keep our group sizes low to allow our instructors to spend time with each participant individually. We find the children benefit from this individual attention and ultimately learn to swim faster. Dear Dotty, Thank you so much for all your teachings and enthusiasm for the past couple of years. Lucas has really benefited and now loves swimming and the water... he always asks for you and can't wait for Saturdays. Dotty has been taking my 14 months old son for the swimming lessons for the past 6 months. Dotty keeps the lessons fun and structured to allow him and the other babies in our group to gain confidence in the water while having lots of fun. You can take your baby swimming at any age. The Department of Health says that there’s no need to wait until your baby has had their immunisations. Please go to www.dh.gov.uk for more information. Lessons centre on teaching the parents to teach their babies to swim, whilst giving them the support to bond and have fun with their newborns. The first year of a baby’s life is crucial in terms of their development as it is in this period that their brain grows most rapidly. 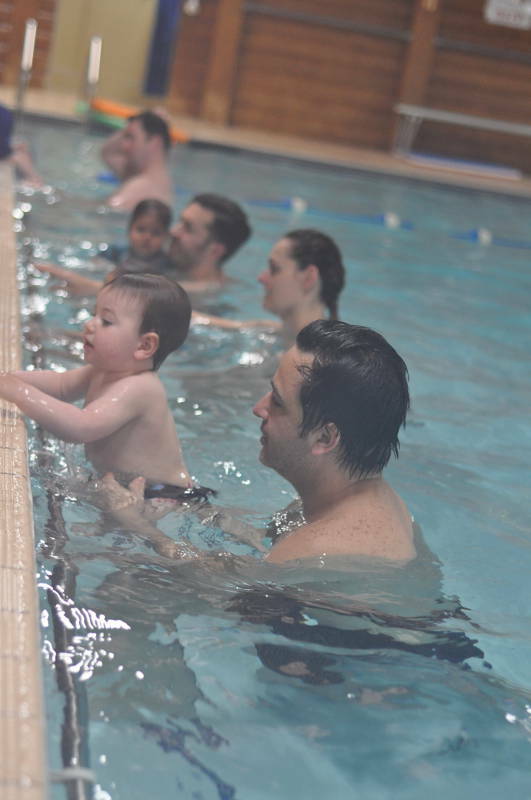 Regular swimming lessons will challenge your baby’s body and mind, helping to prepare them for learning. Baby swimming is completely natural; having spent months surrounded by fluid in the womb babies have a real affinity with water. 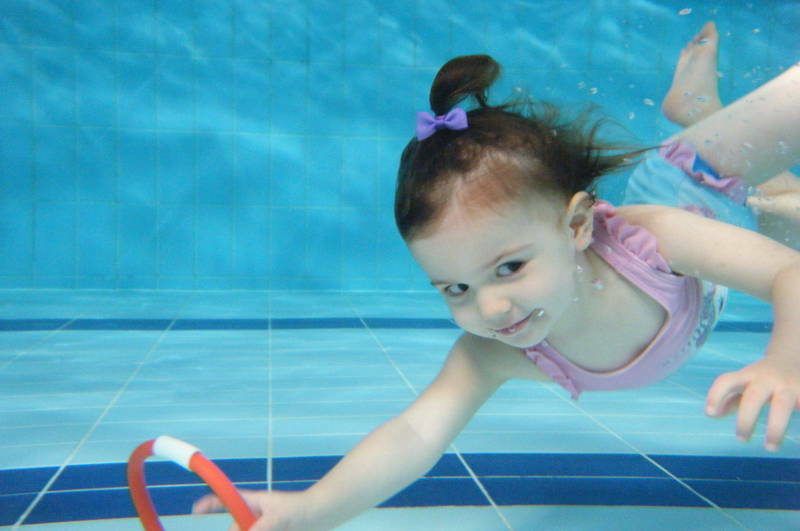 You’ll find a lot of information on our children’s swimming classes on this website. Our FAQ page has answers to many of the most frequently asked questions. If you do have a question please don’t hesitate to contact us using the form on our contact page or the phone number above.